Most of us will probably never be able to afford a marine set-up quite like this one, but we can always dream! Few reef tanks can surpass this display, as created by De Jong Marine Life of Holland at the last Interzoo show. It was a true showstopper, crammed with rare and unusual fish and corals. So could you create such a tank? PFK priced up a project to rival this marine monster! 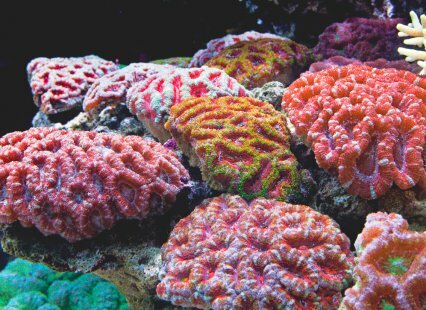 With that many rare corals you have to invest to keep them alive. A chiller is essential to avoid heatwave wipeouts and with more than 1200 l/264 gal of water you’ll need a large tank or vat to make up salt water for changes and an automated way of pumping water in and out of the system. Invest too in a computer that texts you if there’s a problem — then take a deep breath and expect little change out of £20,000! Chiller: D-D refrigerant cooler, DC4000, £1,100.